Because of the early night, Jaydon woke up at 7.30am. I realized that in Singapore, it would have been 6.30am. The Tham family were still in bed while our family were all ready to head out. So we decided to drive around the village, while the Tham family were still in bed. Give that our lodge were near the sea, we decided to drive down to the seaside to check things out. Wanted to have breakfast, but most of the restaurant & cafe were close. 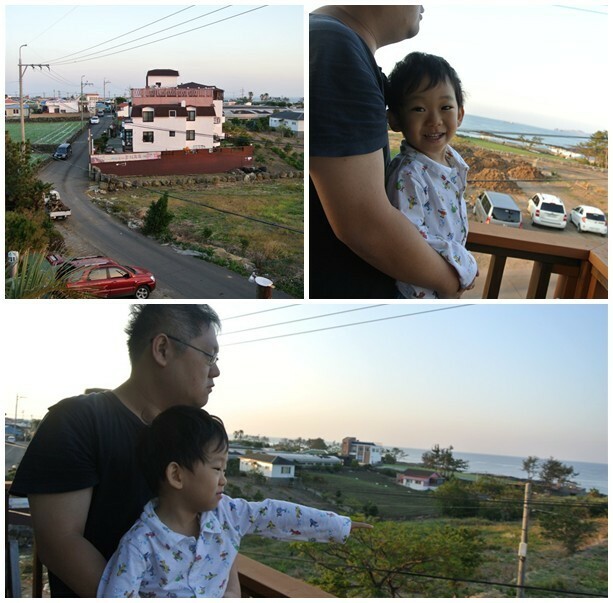 So we just enjoy the morning, taking pictures on the surrounding seaside and venturing around the village. Back to the lodge at around 8.30am. 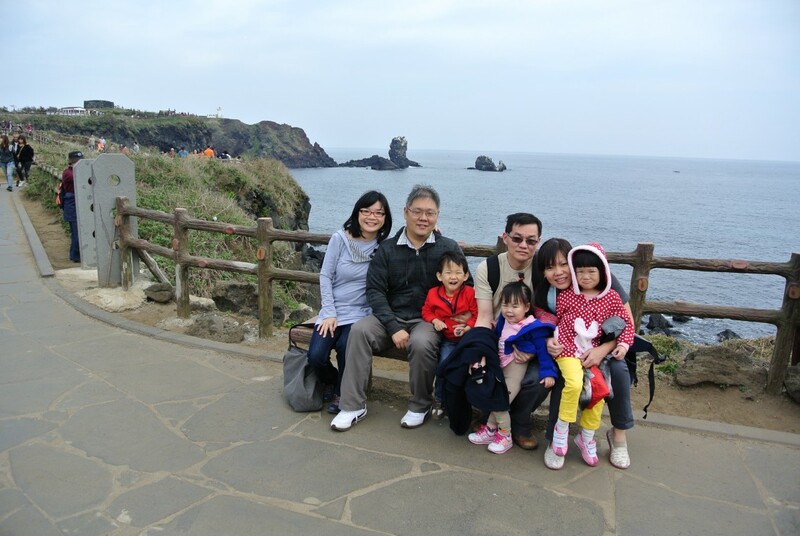 By then, the Tham family are ready to set off for our trip to the east coast of Jeju. The journey to the east coast took as an hour to reach (it is best to stay in Seogwipo in future to cut down travel time). 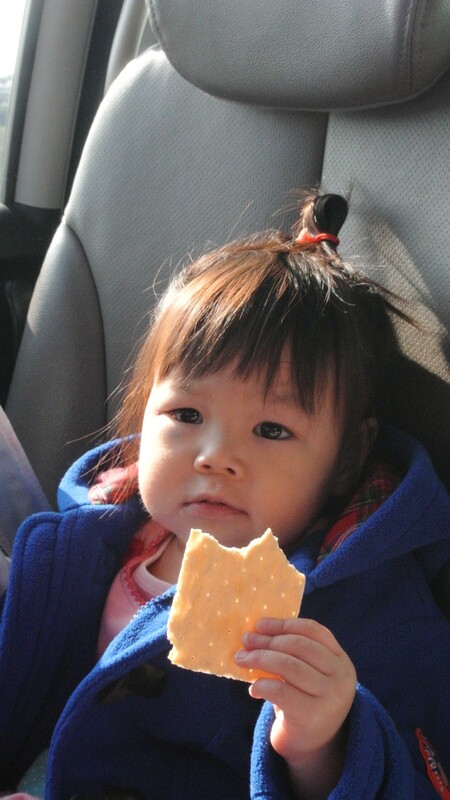 Along the way, we stop by 7-eleven to grab some breakfast – some sangak kimbap, coffee and bread for the kids. 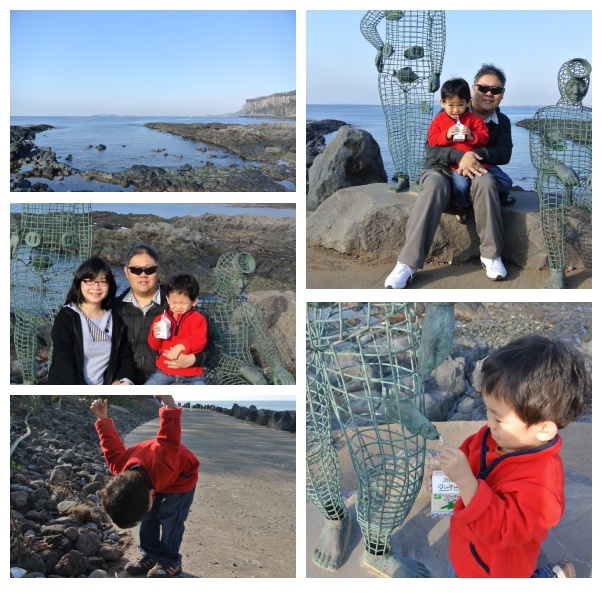 Reaching to our destination in Jeju is not difficult with the use of GPS. Though the language is in Korean, to determine a destination, we just need to key in the phone number into our GPS. Phone number can be found easily in any tourism guide. These guide book can be found Jeju Tourism office in the airport. First stop were Seopjikoji (All-in). 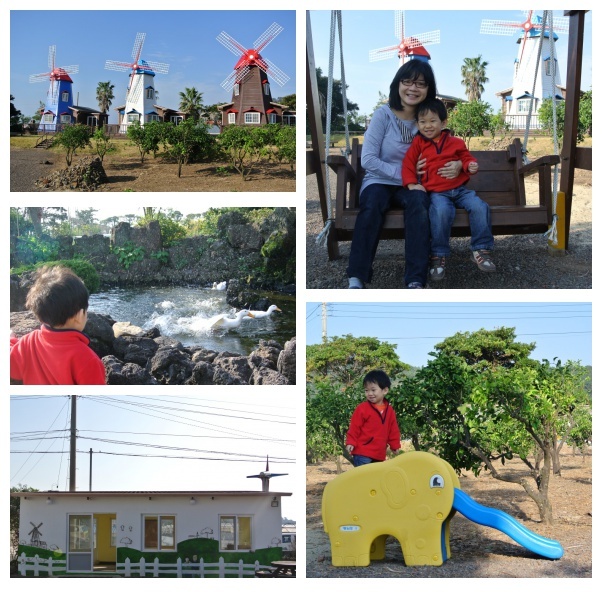 We spend the morning walking with the kids while enjoying the nature surrounding of Seopjikoji. There are stones stack up alone the way and we let the kids play on the stones trying to see who can stack the highest. Time fly fast, and before long it was noon. We drove through Sehwa-Jongdai Scenic drive towards Seongsan Ilchulbong. Along the way, we stop by a Korean Restaurant for lunch. Seeing the number of cars parked outside the restaurant, we decided to give it a try with the theory that “if there is crowd in the restaurant, food should be nice”. Well, the food turns out to be really tasty and we never regret following our theory. Since this is an authenticate Korean restaurant, communication was an issue. However, with the use of simple gesture and the power of Korean language apps found on our iphone / ipad, we managed to get what we want on the menu. 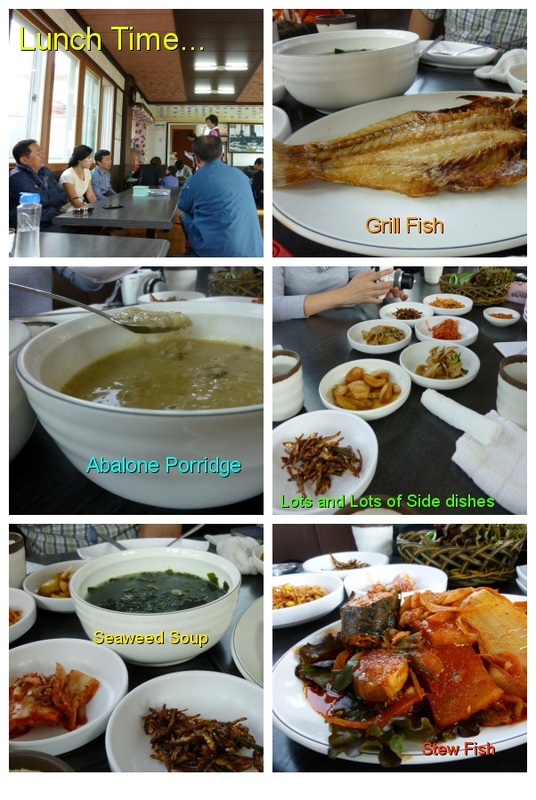 We ordered abalone porridge which is popular in Jeju, stew mackerel & grilled mackerel which was fresh and tasty and seaweed soup which was common in all our meals in Jeju. After our satisfying lunch, we drove to Seongsan Ilchulbong. 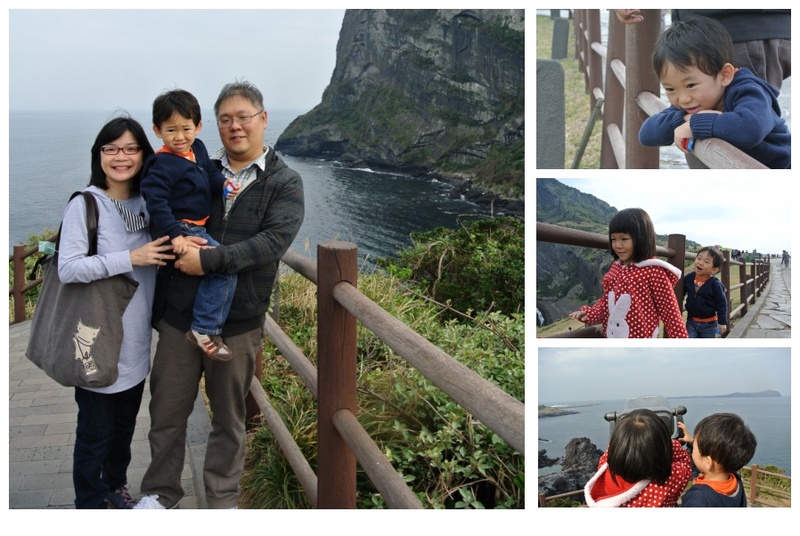 We decided not to climb up Seongsan Ilchulbong, given that we have 3 kids with us and we risk carrying them up and down the endless steps to the top. Therefore, we spend walking around the base of Seongsan Ilchulbong. 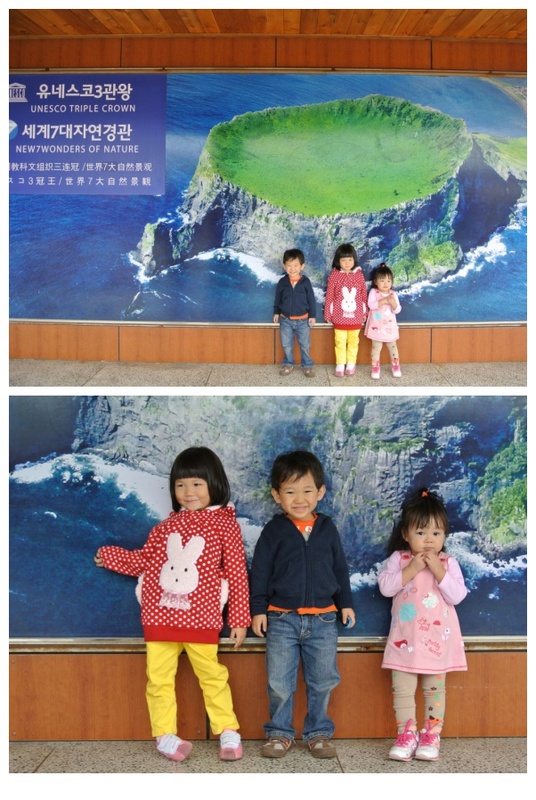 We head south back to Aqua Planet Jeju, which we thought would be interesting for the kids. While we were there, we were told that there was an animal show at the end of the aquarium. We doubled our pace across all exhibit and aquarium to reach to the show area – where there was Seals, penguin, sea lion and dolphin performance. Jaydon don’t seems “fated” with dolphins. When the show about to start, he started falling asleep (This also happened when we were in hualien (Taiwan), where Jaydon fell asleep when the dolphin show at Taiwan). After the show, we decided to chill out in the cafe while Jaydon is sleeping. It was one of the few moments in our trips that we have good time resting and catching up with one another. 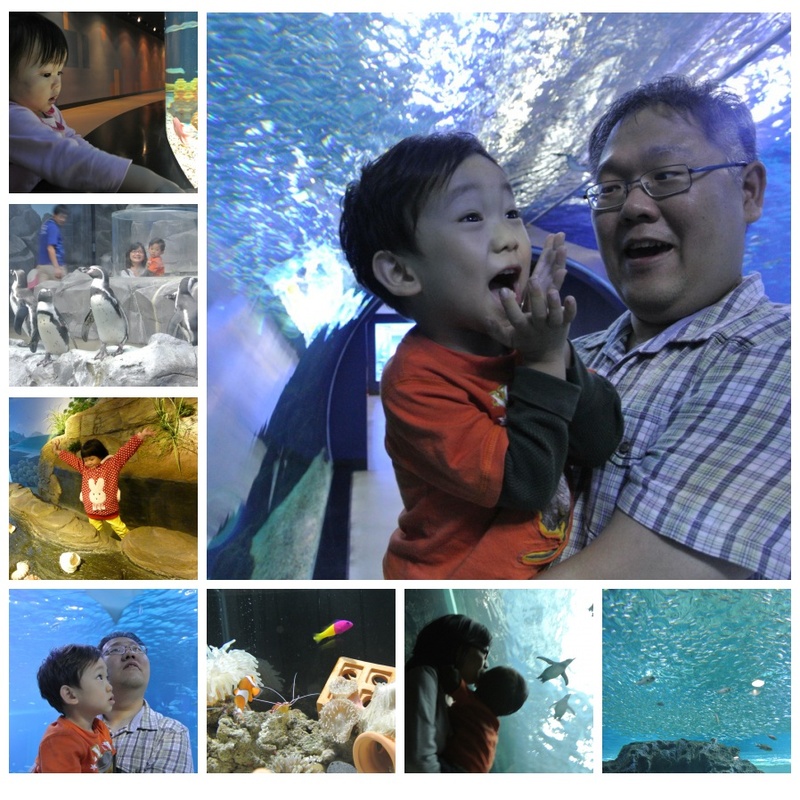 When Jaydon was awake, we decided to head back to the aquarium and exhibit. 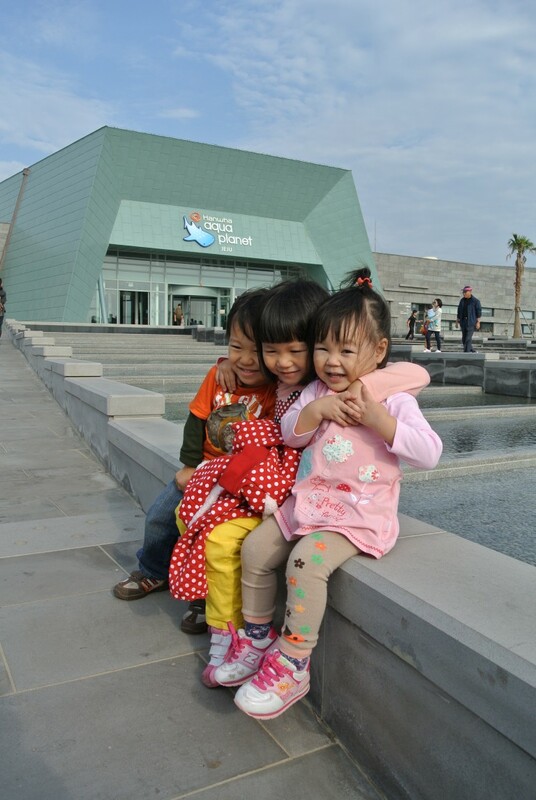 This time, we allow the children to have fun being amazed by the wonderful marine creatures and sea animals. 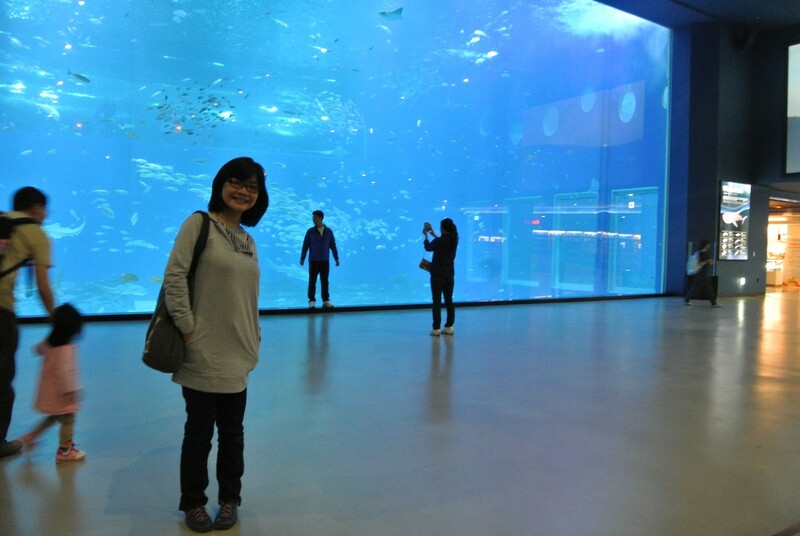 The grand finale is a huge aquarium which amazed both to the adults and the kids. 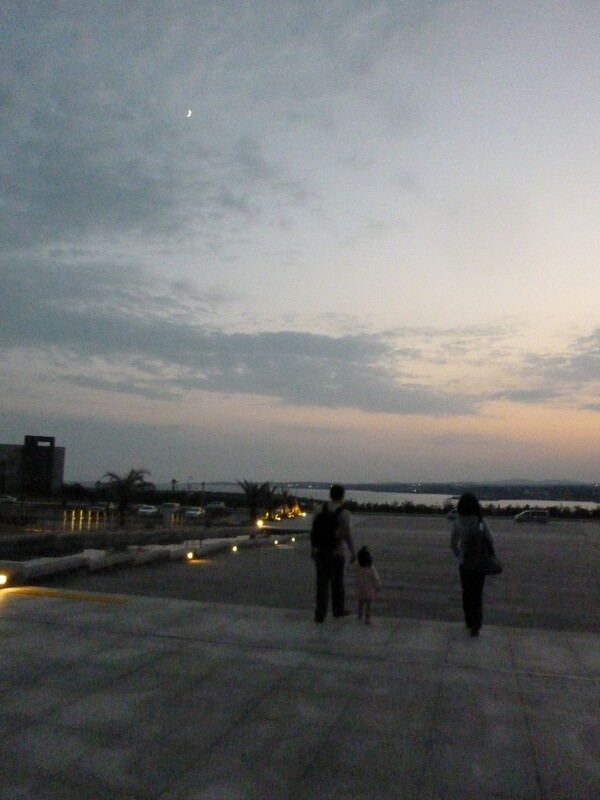 When we left Aqua Planet Jeju, it was 6pm, which by then, sun has set and night falls. We decided to head back to our lodge and try to grab some dinner alone the way. Finding a place for dinner was difficult. 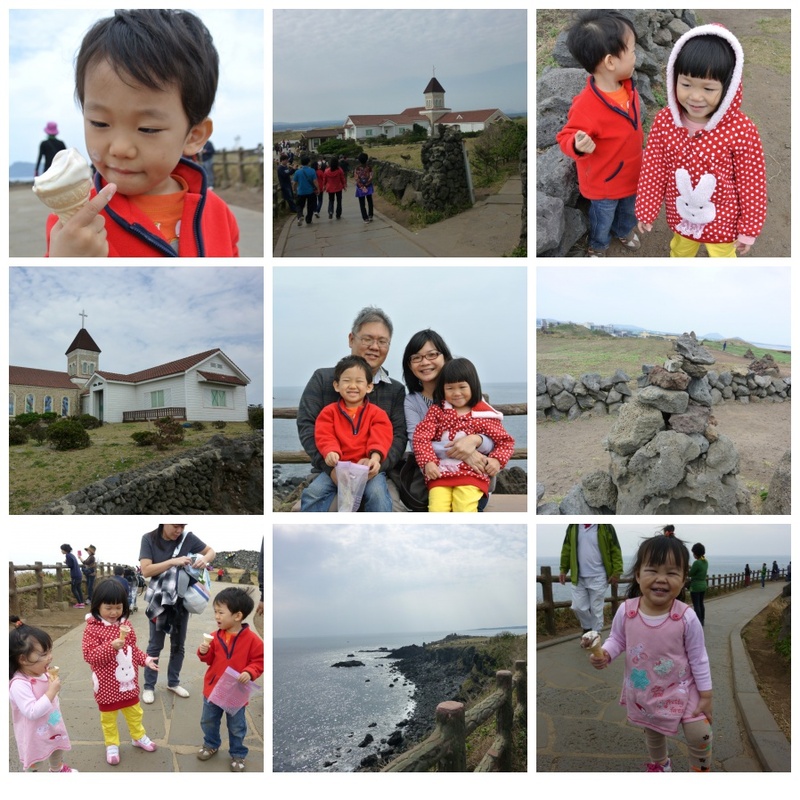 We thought that we could easily find a suitable restaurant for the kids in Seogwipo. We were wrong. We went to at least 3 restaurant that either sold only fried food, or only bbq meat or only seafood sashimi. At the end, we landed in a pizzeria and had pasta and pizza. By the time we reach back to our lodge, it was already 9.30pm. Kids were tired and we were in Zzz-land soon after we have reach back to our lodge.